We take seriously Jesus’ command to go everywhere proclaiming the Good News of God’s Kingdom. That means here and abroad. From the beginning of our church to the present, sending out and supporting short-term mission teams and long-term missionaries has been central to our mission to Engage Our World. Proclaiming Christ’s Kingdom through word and deed, we work with national churches to bring Good News and development that empowers them to be more effective. At present we focus most of our energies on Mozambique, China, Cuba, and Germany, though we will go wherever God calls us. Individuals of all ages and skill levels are encouraged to participate. Born on the mission field in Uruguay, Katrina Diener grew up in Goshen and at Harvest. From a young age, she felt called to missions, taking six trips overseas, including four to Asia, by the time she was 18. Called to work with children, she then completed an associate’s degree in Early Childhood Education. As an adult, she has spent nine of the past 15 years living in East Asia. During this time, her vision expanded to include university students. In preparation to return to the field long term, Katrina is currently in Vancouver, Canada pursuing a bachelor's degree in Early Childhood Care and Education. With a long-standing passion for China and Asia, Don and Vickie Layman moved to Hong Kong in 2003, and later to Thailand, after serving 11 years as associate pastor at Harvest. Thanks to training in clinical social work and experience as pastor and counselor, Don provided much needed care to missionaries in Asia. 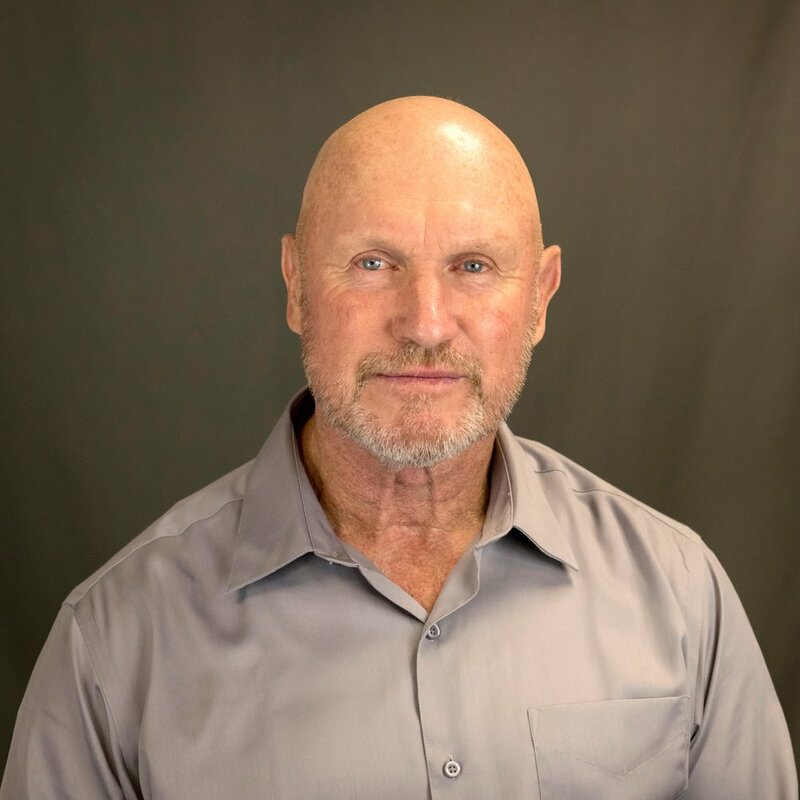 Called to extend their focus, Don currently serves as Vice President of Team Development for Beyond, an organization bringing the gospel to unreached people groups seeing an exponential increase of disciples and churches around the globe. Don and Vickie reside in Goshen and have five adult children, two daughters-in-law, one son-in-law, and six grandchildren. Del and Jeannie are passionate people with a heart to see Germany touched with the gospel of Jesus Christ. In 1985, the Penners moved to Idar-Oberstein where they pastored a German congregation from which four churches were planted in the area. In 2010, they turned over their responsibilities to local leaders and spent the next 5 years sharing a fresh revelation of the Father’s love throughout Germany and beyond. In 2015, their city was impacted by an influx of refugees, primarily with Muslim background from the Middle East and Africa. With the largest unreached people group at their doorstep, they adjusted their focus starting Café International to provide a safe place to welcome and offer practical help to refugees. They also lead a bible study with Persian speakers of Muslim background. Overall, these ministries have impacted over 300 refugees in their city. Del and Jeannie have 4 children and 5 grandchildren. Three of their children are married living in the US and their youngest son is living in Berlin. Visit the Penner's website to learn more about their work. 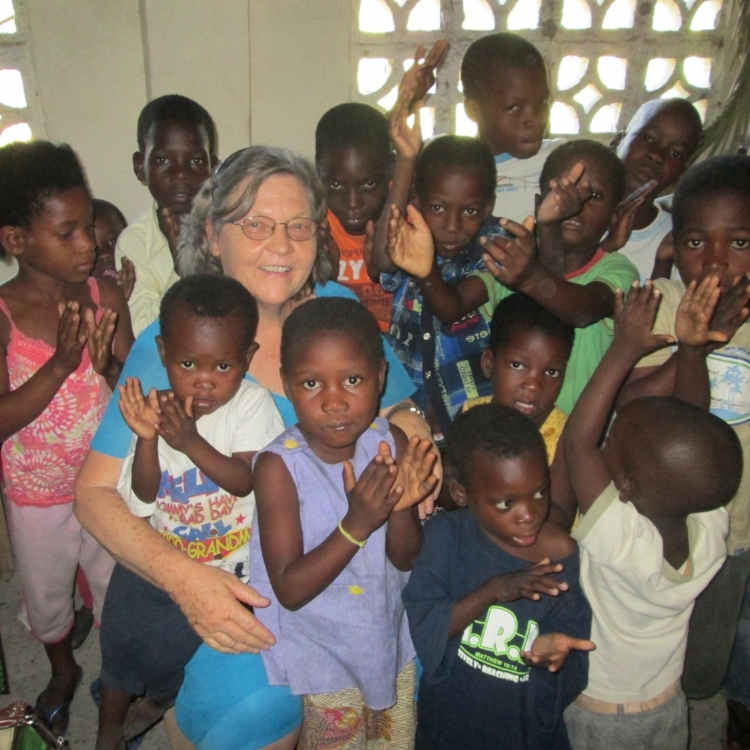 Tanneken Fros has served in overseas missions for 27 years, 7 in Israel and since 1998 in Mozambique. In 2004, God called her to partner with Mozambican pastors starting the Mountain of Praise Church (MOP) and Association of Christian Protection of Orphans (ACPO) with a focus to care for orphans and widows, preach the gospel, train pastors, and plant churches. The church helps care for 75 orphans, abandoned and at risk children, 300 orphans living with families in the community and serves as a transit center for children and women in need. The Mountain of Praise Church has over 600 churches in Mozambique, Malawi, Zambia, and Zimbabwe. Visit Tanneken’s website to learn more about her work. Steve and Rachel Good have always had a heart for serving cross-culturally. A third generation missionary, Rachel grew up in Puerto Rico and Steve was influenced by his family’s international outlook. In 2005, the Goods were sent by Harvest and World Relief to serve as non-traditional missionaries in Mozambique, working with agriculture consulting, church partners, communications and leadership in the local church. After World Relief closed their offices in Mozambique in 2016, they felt the call of God to serve in Mongu, Zambia. Since May 2017, they have been working with ZambiaWorks in training people in agriculture, microenterprise and basic health as well as overseeing the construction of clinics, schools and wells. Steve and Rachel have three married children and six grandchildren. Learn more about their ministry on their blog. Jorge and Anita Borbon met and married in Goshen. A native of Costa Rica, Jorge planned to eventually return to his country to minister. In 1976, they moved to Costa Rica as full-time missionaries sent by Zion Chapel. Following Earl Kellum's work in the country, Jorge helped plant more churches and held tent crusades seeing many saved and healed. Along with other pastors, he created an association of churches to meet the need for established churches with Costa Rican leadership. Since then, he has pastored the church planted in Grecia, training and mentoring dozens of pastors that are now ministering in churches throughout Costa Rica and the US. As an elder statesman of the Costa Rican church, he continues to support and mentor leaders and churches within the association and beyond, increasing his outreach ministry into Cuba, Peru, and other Latin American countries. Jorge and Anita have 6 children. Bob Tidd is a veteran Harvest missionary, fluent in Spanish and with a passion to serve national churches in extending God’s Kingdom. He has ministered with one of our missionaries in Argentina, helped build homes and schools in Guatemala, assisted with church planting in the Dominican Republic, and offers leadership training in Cuba. Bob has been a key player in fulfilling a prophetic word our church received about Cuba. Since 2000, he has organized a video Bible school, the International School of Ministry, to provide much-needed training for church leaders. Working with Cuban leaders, 121 active schools have taken place with 3362 graduates representing over 40 denominations. Bob’s current focus is to help prepare Cubans to win Muslims to Christ in the Middle East. He is responsible for the overdubbing of the English materials in Spanish from i2 Ministries. Due to travel restrictions to Cuba, Bob travels in and out of Goshen often. 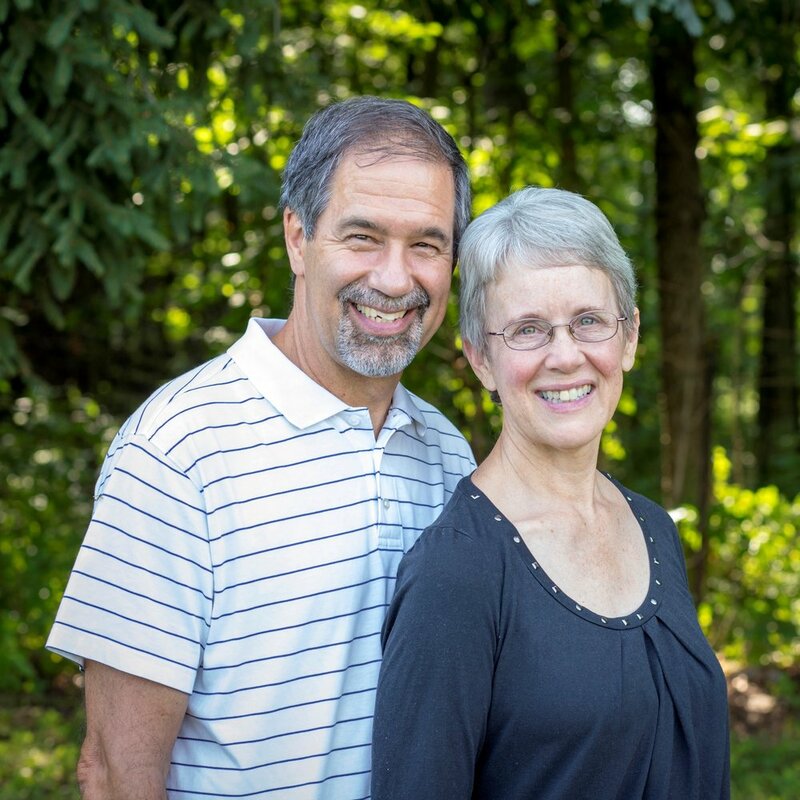 Ken and Becky Holderman have served on the mission field for 7 years in Venezuela, 4 in Spain (Canary Islands), and 9 doing Member Care in Asia. They are now serving with Globe International as Member Care providers, offering emotional and spiritual support to missionaries. As veteran missionaries, Ken and Becky understand the unique challenges missionaries face and the commitment necessary to properly care for them and their families. Theyhave responsibility for 60 workers and family members, mostly in Latin America, serving with Globe. Their love for missions and people is evident in the dozens of people they've also faithfully continued to mentor and support for over 30 years. They have two sons, one daughter-in-law, and two grandsons. “Home” is Goshen, IN. Keep up on their ministry here.